Welcome to Year 4 page. Below you can find out what we have been learning about in class as well as links to home learning activities. During the Spring Term, our topic is 'Rumble in the Jungle'. We journey back to ancient Mesoamerica, 250 AD - 900 AD, to visit the amazing ancient Mayans. 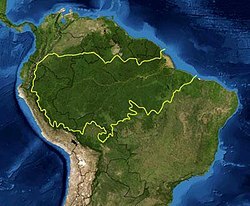 Then we zoom forward to modern day South America, to explore the wonders and dilemmas of the vast Amazon Rainforest. Please click on the image for a copy of the topic web. Please click here for a copy of the topic home learning grid. We expect children to bring a piece of learning from this grid at least once a fortnight ( you may complete more!). Children are expected to complete activities from their statutory spelling booklets on a weekly basis. Click on the image below for spellings we are learning in class. Click on the pencils for spellings. We are learning our multiplication facts to 12 x 12. Click to download a grid to complete.